KELOWNA – Negotiations to update the 55-year-old Columbia River Treaty between Canada and the US are ramping up. Ratified in 1964, the treaty’s main purpose was to optimize power generation and flood control for both Canada and the US. Three dams were constructed in Canada: Duncan in 1967, Arrow/Hugh Keenleyside in 1968 and Mica in 1973. Canadian land was set aside for a reservoir when the US built Libby dam in Montana in 1972. Canada manages 15.5-million-acre feet of water a year to help both Canadian and US utilities gain optimum power generation and lessen the potential for floods. “Power and flood control were the only items of importance in the day,” Kathy Eichenberger, executive director of the BC Columbia River Treaty Review, told a recent meeting of the Okanagan Basin Water Board. The treaty benefits the US by managing river flows, which helps control flooding, manage power generation potential, maintain navigation conditions, enhance fisheries and provides late season irrigation and recreation opportunities. BC receives an entitlement to sell power on the open market, worth $180 million last year, as well as increased power generation capacity. The Revelstoke dam, for instance, could not have been built if the Mica dam hadn’t been built first. But BC lost a lot – more than 600 square kilometres of fertile bottom land was flooded, 2,300 people were relocated, entire communities were displaced, and First Nations cultural sites were lost. Fluctuating water levels have a significant impact on communities alongside the reservoirs the dams created. Nakusp residents, for example, have to deal with a 20-metre change in lake levels that make it tough to establish docking facilities. Moreover, BC citizens were not consulted in the initial treaty process. That changed in 2014, when the BC government made the decision to continue the treaty and seek improvements within the existing framework. A review over the last three years included community meetings in Nelson, Castlegar, Trail, Cranbrook, Jaffray, Invermere, Golden, Revelstoke Nakusp and Fauquier. There is on-going consultation with the three First Nations in the region and Eichenberger says they’ll return to the other 10 communities that hosted meetings. BC fruit, potato and onion growers face stiff competition from US producers who are able to pump water out of Lake Roosevelt and irrigate land that only receives five to eight inches of rain a year. The key to this orchard success is flow timing. While the Grand Coulee dam was constructed before the Columbia River treaty, Canadian water management ensures late summer and early fall flows provide enough water to finish the irrigation season and prepare the thousands of acres of fruit trees in the area for the winter. As well, flow management provides water for spawning fish. The true value of this water is hard to measure, however. Calculating that benefit, and the potential for increased economic benefit going forward, will be challenging. 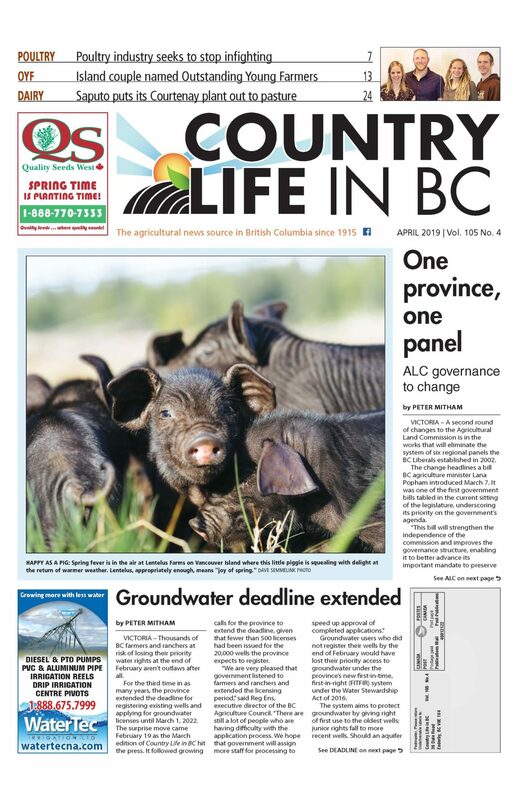 BC Fruit Growers Association general manager Glen Lucas has been gathering background on the economic benefits of shaping the water flow. There have been four negotiation sessions to date. A fifth is scheduled for late February. There is some urgency on the US side. The agreement to manage flows for flood control expires in 2024. After that, Canada no longer has to provide assured storage and the US must use their own storage capacity first before Canada can be “called upon” (as the treaty describes it). That means the current flow patterns for power, fish, recreation and agriculture could be completely disrupted. Washington famers might add to that urgency. Some very productive farmland sits outside the Columbia Basin. Up until now, they have relied on deep wells, and those wells are running dry. They are licking their lips as they look towards Lake Roosevelt.